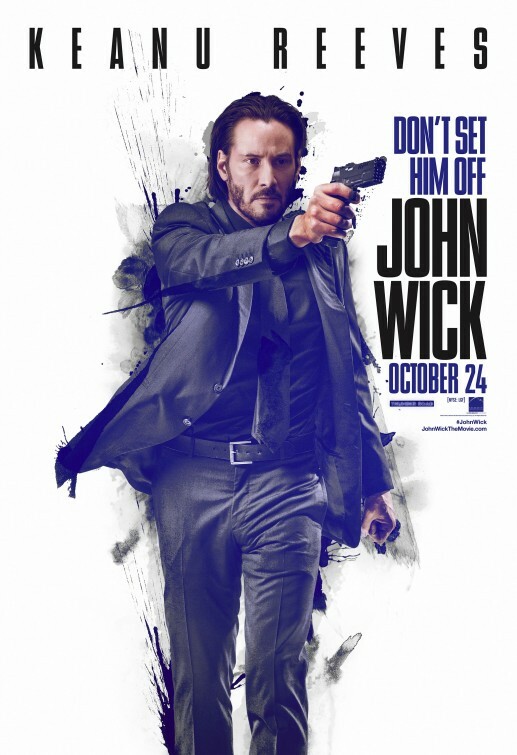 David Leitch and Chad Stahelski have both been involved in the movie business in one way or another for several years now but this is their first time behind the camera with the action packed thriller “John Wick”. 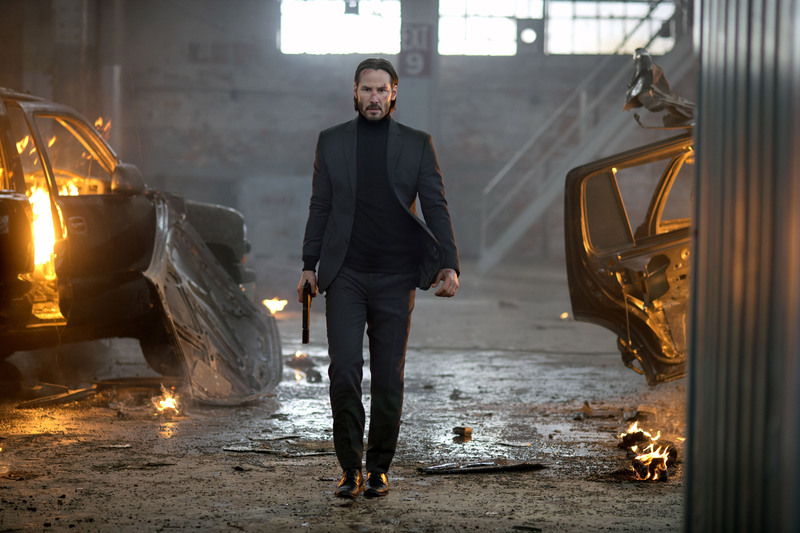 The film stars Keanu Reeves as John Wick, an ex-hitman who comes out of retirement to track down Russian gangsters that have taken that last thing he had left. Boasting an awesome cast that includes Michael Nyqvist (Girl With The Dragon Tattoo), Alfie Allen (Game Of Thrones), Willem Dafoe (American Psycho), Ian McShane and John Leguizamo, John Wick hits all the right notes. I have to say that this is a film riddled with every cliché in the book and although the premise is similar to countless other films it doesn’t make it any less entertaining. So now you know what you are in for read on if you want. Some would say this is just senseless violence like “The Expendables” or any number of bad Steven Seagal movies but the difference with this is the style in which it’s shot and of course the return of Keanu! 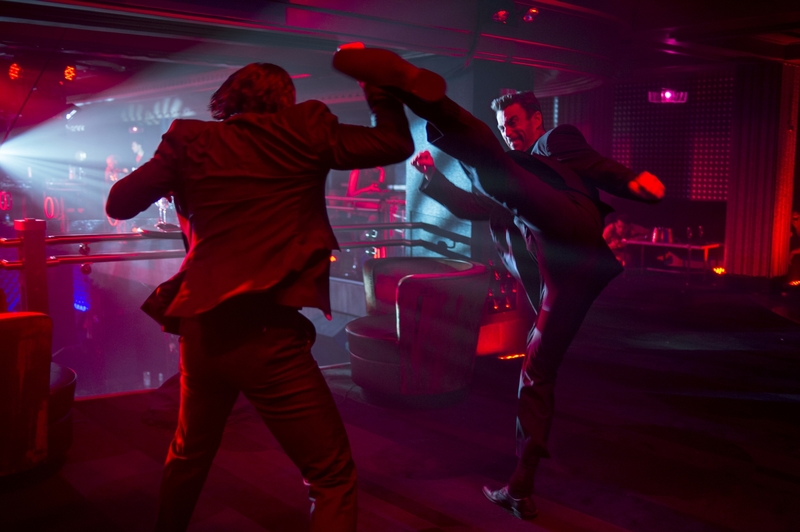 Given the nature of John Wick’s revenge plot you can be sure that the action is plentiful and packs it’s fair share of punch. The stunt work was mostly done by Reeves and it looks great. I can draw comparisons between this and The Kill Bill films with The combination of careful editing and brutal hand to hand combat making for some of the best pure action sequences I have seen for a long time. There are 3 big fight sequences, one in each act of the movie. We are introduced to John in the very beginning and we know very little about him other than a recent tragedy occurred to him and he appears to have no shortage of money judging by the house he lives in. It doesn’t take long and John’s former life catches up with him in the form of his ex-bosses son, putting him in a position he knows all too well. The music choices and editing are worth mentioning because they really helped enhance the entertainment value of the fight sequences. I’m not a huge car person but the 69 Mustang John cruises around in was awesome and along with changing cars throughout the film, we get a few cool chase sequences involving the Mustang. The performances were pretty good across the board. For me, this is Keanu’s best acting job since “Hardball”. I still found during some of the angrier scenes he didn’t quite hit the mark but for the most part he is very good particularly in those early emotional scenes. Alfie Allen, whom we all know from Tv’s “Game Of Thrones” isn’t to far removed from his character Theon playing Iosef, the son of the boss of this group of gangsters. He is wild and crazy and you would expect nothing less from him if you have seen GOT. Nyqvist is wonderful as well, playing Viggo the boss. He is cold and calculated but also has a very odd sense of humour which provided me with a chuckle here and there. Rounding out the cast is Willem Dafoe. I’m a huge fan of his so it was great to see him play a character that you really can’t read until towards the end of the film. I will just quickly touch on Daisy the dog as well because that thing was cute as (haha). It’s more the lack of originality and predictability of the script in the way in which it unfolds that weighs down John Wick. 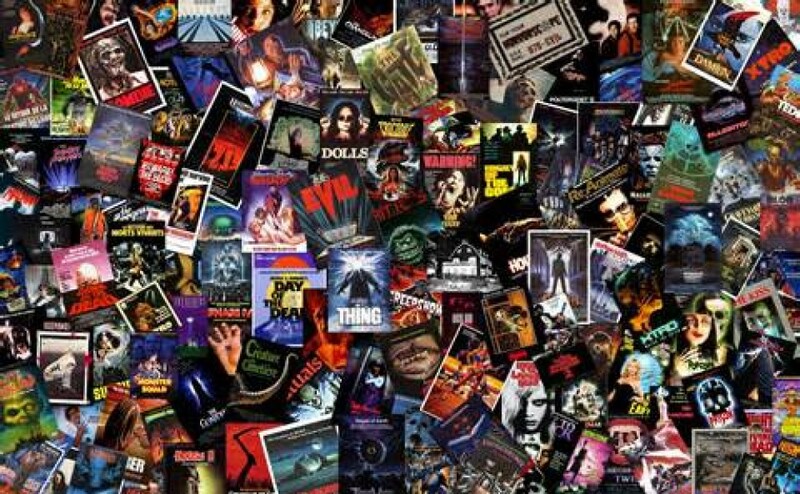 There isn’t anything here that we haven’t seen before but I think everyone involved with the film knows that. I think they were trying to write a script that would work as a fun and purely entertaining action flick. Most of the errors are things we see all the time in these films. Such as, John managing to wear a bullet-proof vest but being the only one who does, So nobody else thinks of that?? (haha, it’s not that hard and a bit of a stretch). They could have at least put a few of the bodyguards in vests to cover their bases. I enjoyed the changing and gearing up scenes but don’t hint at grenades being used and then never use them, that just disappoints the audience. There was one or two explosions but I don’t think they were from grenades. John uses cars as cover from heavy machine gun fire and it works pretty well, yet when he catches a guy on the roof of his car he can shoot through it with a handgun and hit the guy no problems.. you guys get where I’m going with this don’t you?? It’s just a lot of small things like that. Technically the films only weaknesses are with some of the stylised lighting, which gets to be a little too much on the eyes after a while and most importantly some of the camera focus and zooming. The camera work and focus got a lot better as the film went along but some of the early scenes in John’s house were grainy and way out of focus. Think of what a pixellated image looks like on a computer and that’s what several of the shots looked like, it was poor. I appreciate the shots of something important starting out of focus in the background and then coming into focus in the foreground, that’s fine but not camera work that is just obviously out of focus. Given the massive budget I think that could have been smoothed out pretty easily. Overall John Wick was an absolute blast. It was nice to see Keanu return to the fold with a fast, stylised smash-hit action film. This doesn’t redefine the genre in any way, shape or form but it serves its main purpose which is to entertain and it does it well. 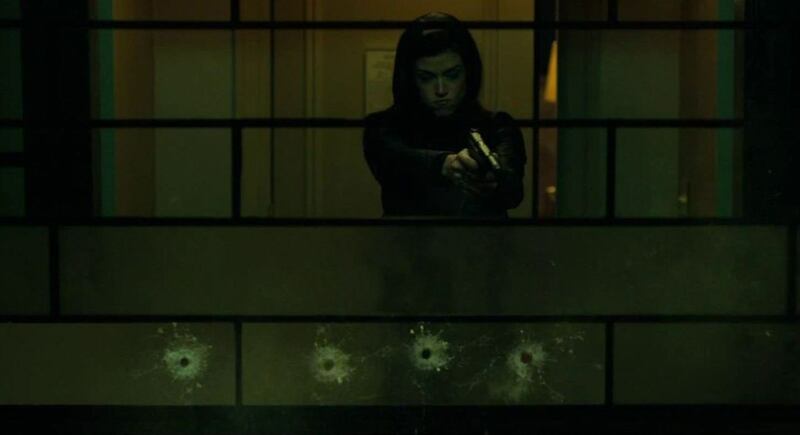 This puts films like Taken and it’s counterparts to shame, its one of the best action flicks I’ve seen since the underrated “Baytown Outlaws”, which happened to star Eva Longoria, who was a producer on this film (little fact for you). Check it out while it’s in theatres guys!